A lightweight, stackable, outdoor lounge chair. This concept derived from research done during my graduate studies, in which I was attempting to find widely available and relatively inexpensive raw materials that could be used in the furniture industry. Through a physical process of experimentation and iteration I developed a shape that could be easily 2d cut from a flexible sheet and secured in a way that is strong enough to support the human body. 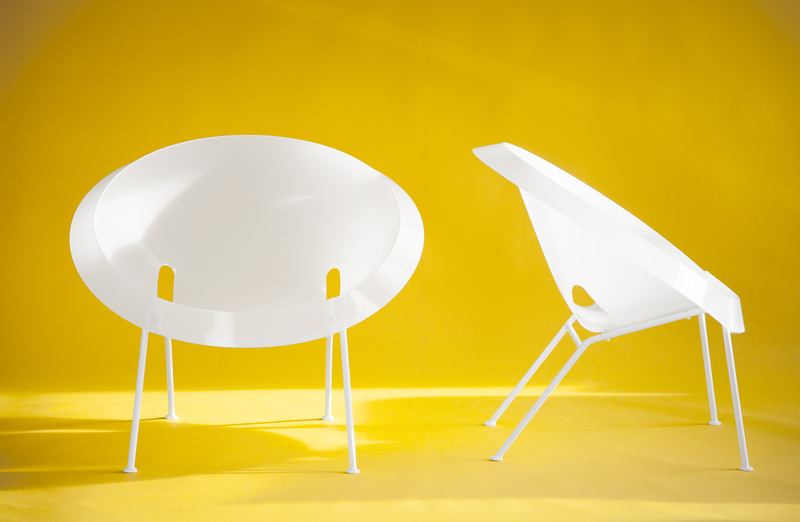 The seating shell is made from a single piece of 1/8” thick polypropylene plastic. The fold around the outer ring of the shell lends strength to the material while allowing for a minimal natural flex.